As you can probably tell, most of my collection has come from Civil War shows that I attend in Franklin Tenn. and Louisville Ky. Here is another relic from Franklin. 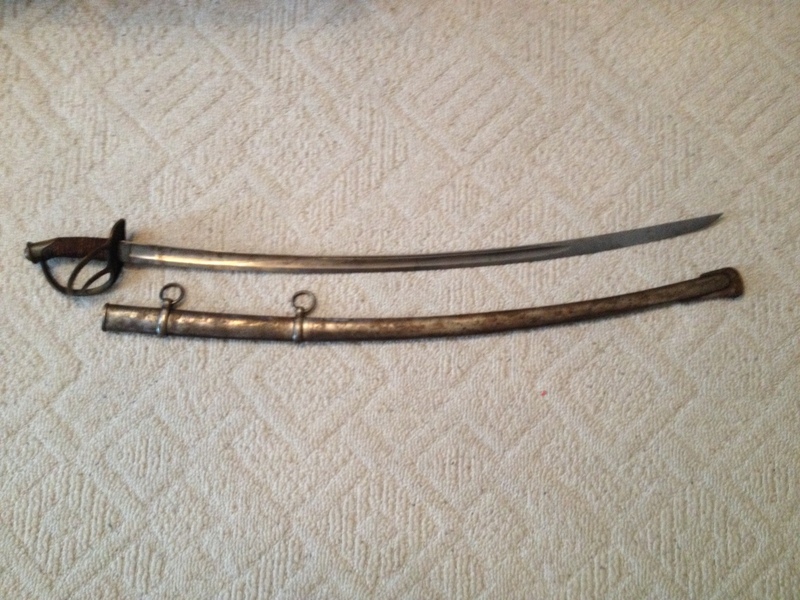 This is a Model 1840 Calvary Sword, also known as the (Wrist Breaker) because of the weight of the sword and the width and thickness of the blade. Could easy break your wrist if properly used in battle. There is no proof marks in this one. But is a real nice import. Literally thousands of swords were imported to the United States before and during the Civil War.